Although the Gold Rush of 1898 affected the entire Yukon Territory and many other major cities and areas across Canada and the United States, no area experienced greater changes than the region we call the Klondike. When George Carmacks, Skookum Jim, and Tagish Charley discovered gold at Bonanza Creek near present-day Dawson City, prospectors arrived in droves, dramatically altering the landscape and lifestyle of the places and people they encountered. The name “Klondike” comes from the Hän word Tr’ondëk, which means “hammerstone water.” Newcomers found it difficult to pronounce the word, and so the name “Klondike” was born. The North Klondike Highway parallels the route used by prospectors during the days of ’98. As you travel to the Klondike, you’ll pass through communities that were shaped by the Gold Rush and subsequent attempts to make the gold fields accessible. 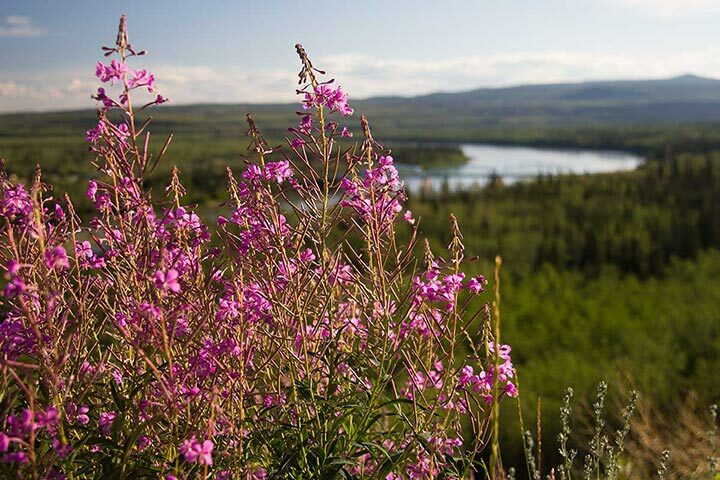 These communities are Carmacks, Pelly Crossing, Stewart Crossing, and Dawson City.